How Many Years Can I Expect From my uPVC Windows? This is a question we get asked quite a bit by customers. And there’s normally one of two reasons for asking it. Either homeowners thinking about installing uPVC windows, want to know what kind of value they’re getting for their money. Or, customers who have legacy double glazing want to know how to gauge it’s shelf life. uPVC stands for Unplasticised Polyvinyl Chloride which is a lightweight plastic developed for use in construction. Whilst the name describes a standard formula, each window manufacturer will use variations on the ingredients. Some will use fillers and pigments, others will add metal salts and soaps. The specific recipe used by the manufacturer will determine the life of your uPVC windows. • Installation by skilled and experienced double glazing professionals. How Do I Know How Old My uPVC Windows Are? All new builds post 1980 will have been fitted with double glazing in order to meet the thermal regulations. Any installations pre-dating 2007 will be, at best, C rated for energy efficiency. So if you’re moving into a house that’s more than 12 years old, you should seriously consider investing in A rated double glazing. This is a clear indication of poor quality raw materials, and it can occur after only 5 years. High quality uPVC uses pure vinyl virgin resin to ensure that lighter coloured frames retain their pristine appearance for the lifetime of the windows. Poor pigmentation can also be a sign that UV-resisting ingredients are absent from the uPVC formula. This is a clear indication that your windows are no longer performing effectively. The misting occurs because the seal is no longer working. As a result the gas between the two panes is leaking, and moist air is replacing it. This means that heat is now being lost and, as a result, it’ll be more difficult to keep your home warm. Windows that mist need to be replaced. This is a clear indication that cold air is able to make it’s way to the inside pane, meaning that there’s leakage and the integrity of the seal has been breached. This can be repaired, but it’s well worth considering whether you might not be better investing in new windows. 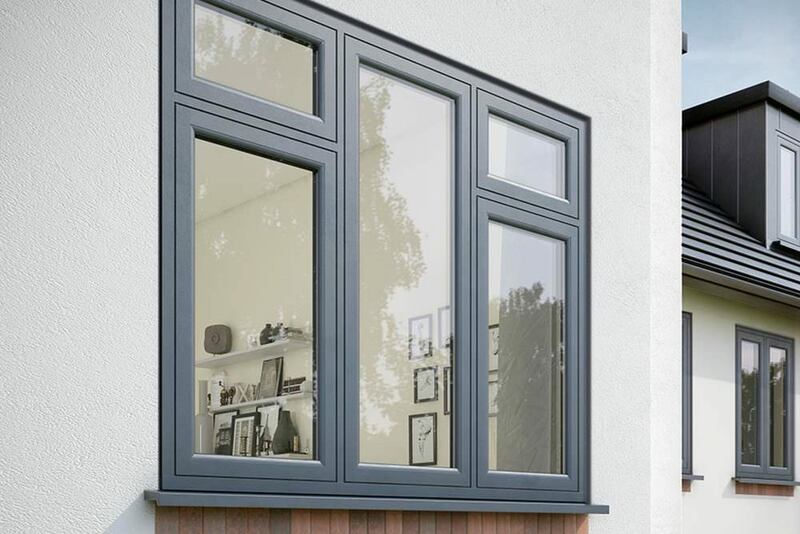 Our Liniar uPVC double and triple glazing windows come with an A+ rating and a life expectation of 35 years. As a local double glazing installer, we choose our products carefully as we know we’ll have to live with any problems they might create. We also work with experienced, skilled professional installers who do their part in ensuring that your windows will give you peak performance for over three decades. If you think that your uPVC windows may need replacing, call us today for advice and guidance. Or get a quick, online quote for your replacement windows.